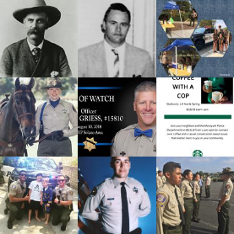 These men and women gave their lives while serving the citizens of Ventura County. This page is dedicated to their memory. 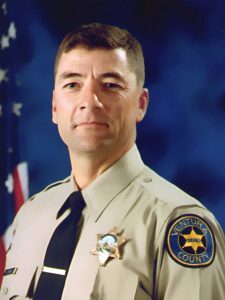 Sergeant Helus, a 29-year member of the Sheriff’s Office, was shot and killed after responding to an active shooter at the Borderline Bar & Grill In Thousand Oaks. When he arrived, Sergeant Helus heard gunfire coming from inside the bar, which was occupied by nearly 200 college students. He immediately made entry into the bar and confronted the shooter. Sergeant Helus was severely wounded, and was taken to a local hospital where he died from his wounds. Ron is survived by his wife, Karen, and son, Jordan. 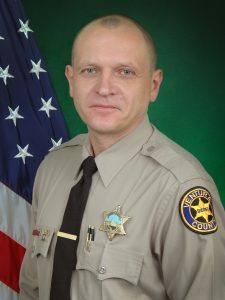 Deputy Kostiuchenko, an 11-year member of the Sheriff’s Office, was struck and killed while on a traffic stop on the shoulder of the 101 Freeway in the city of Camarillo. He had completed his early morning traffic stop and was walking back to his patrol vehicle when he was struck and killed by an intoxicated driver. 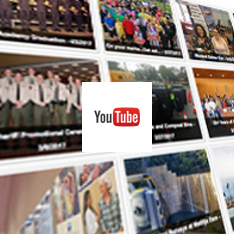 Eugene worked with the Office of Emergency Services before becoming a deputy in 2007. Born in the Ukraine, Eugene served in the Ukrainian military before becoming an American citizen and a deputy sheriff. 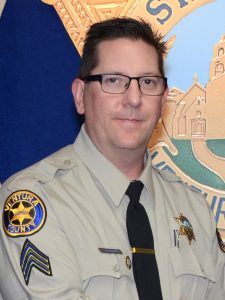 Deputy Bornet, a 10-year veteran of the Sheriff’s Department, was killed in a traffic accident while attempting to stop a motorist for a vehicle code violation. Deputy Bornet was in uniform and driving in his personal vehicle when the accident occurred. Deputy Bornet also proudly served 19 years in the United States Navy earning the rank of Master Chief Petty Officer. Robert is survived by his wife Vicki; and their four children, Katie, Leslie, Daniel, and Christopher. 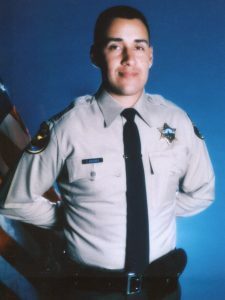 Deputy Aguirre, who started as a cadet with the Department and served as a Deputy for over two years, was shot and killed while investigating a domestic disturbance call in the Ojai area. The suspect was also shot by responding deputies, but survived. He was prosecuted for first-degree murder and received the death penalty. Peter was awarded the Medal of Valor for his heroism and is survived by his wife Dina and their daughter, Gabriella. Sergeant Collins died when the helicopter he was flying crashed into the Santa Clara riverbed. 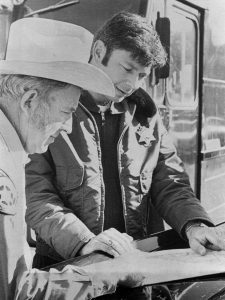 Tom started the helicopter unit for the Ventura County Sheriff’s Department in 1971. Prior to working for our Department, he flew helicopters for the Navy. As a Naval Lieutenant, Tom was the youngest commissioned officer at that time. 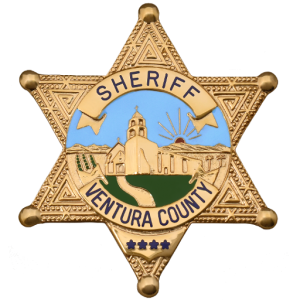 Lieutenant Varat, a 14-year veteran of the Sheriff’s Department, was on a search and rescue training exercise in the Santa Susana Mountains when he was bit by a tick and infected with Rocky Mountain Spotted Fever. He died four days later. Hank was instrumental in helping to develop the Department’s SWAT Team, Dive Team, and the Search and Rescue Team. Detective Haynie was shot while attempting to make a narcotics arrest in Fillmore. Haynie and three other plainclothes sheriff’s narcotics agents entered the house of a suspected drug dealer. The suspect’s 78-year old father shot Haynie once in the chest. The shooting was determined to be a misunderstanding, and the father was released. 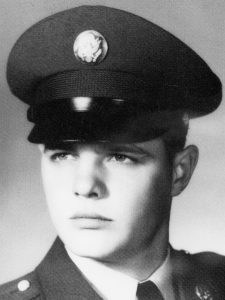 Donald served as a military police officer in the Army. He also enjoyed hunting with fellow officers and spending time with his family. 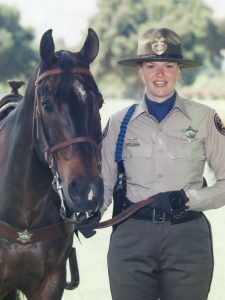 Deputy Larson drowned while attempting to rescue a group of hikers at Sespe Creek. Chico was stranded in a stalled rescue tractor in the middle of the river and was washed off the top of the tractor with 10 other victims. There was one survivor. Two days, earlier, Chico saved a party of 12 school girls and 2 adults. He was stationed at Lockwood Valley. 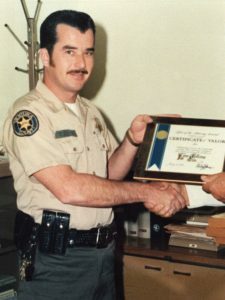 Deputy Mendenhall died from injuries received in a traffic collision when the mentally ill prisoner Mendenhall was transporting grabbed the steering wheel and directed the car into oncoming traffic. 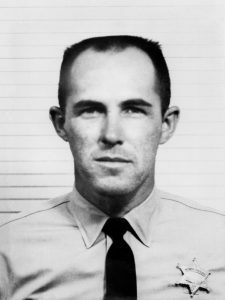 Earl served as a police officer for the City of Ventura prior to working for the Ventura County Sheriff’s Department. He served in Word War II with the U.S. Marine Corps. Deputy Gregory was killed instantly when the patrol car his partner was driving hit a telephone pole. An unidentified wrong way driver caused the collision on Highway 118 near Simi Valley. Donald was a veteran of the Korean War. 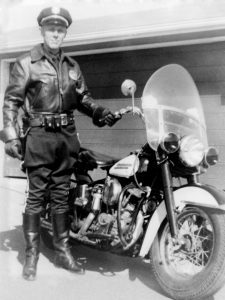 He started with the Sheriff’s Department in May of 1959, and served the community of Thousand Oaks. 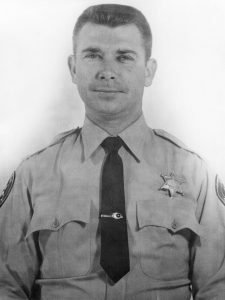 Reserve (Auxiliary) Deputy Patten was shot while working a roadblock on Casitas Pass Road. The suspects in a $150 liquor store robbery shot Patten to avoid being caught. The three suspects were caught in Bakersfield six days later and prosecuted. Bryce was a full-time history teacher at Ventura High School. His students described him as a teacher you liked to work with. He donated many hours to improve his patrol skills, and served the children in the community as a Cub Scout Master. Sheriff E.G. 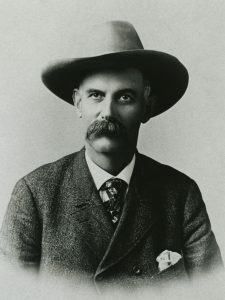 McMartin was first elected Sheriff in 1902 and every four years after until his death in 1921, becoming the only Sheriff in Ventura County history to be killed in the line of duty. 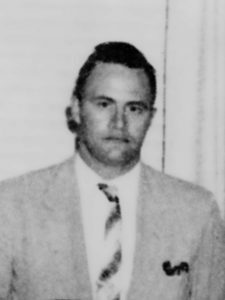 Sheriff McMartin was killed along with Constable Kelley of Oxnard while attempting to arrest two murder suspects in Owensmouth Valley (now Canoga Park). A 1921 newspaper article described the Sheriff as a man who was admired and respected throughout the West for his tireless and fearless service.